This registry is being developed for several reasons. Very little is known about the natural history of Glut1 Deficiency. By collecting information about the individual experiences of patients with G1D, the researchers hope to develop a better understanding of the course of this disorder. The researchers also hope that by developing a more complete understanding of G1D they will be better able to diagnose and treat it. By filling out the online questionnaire, you will be contributing valuable information about this disease that will guide researchers as they search for therapies and improved diagnostics. Your responses will also help researchers understand what is important to you as a patient or patient caregiver. This information will help guide future research and program development. 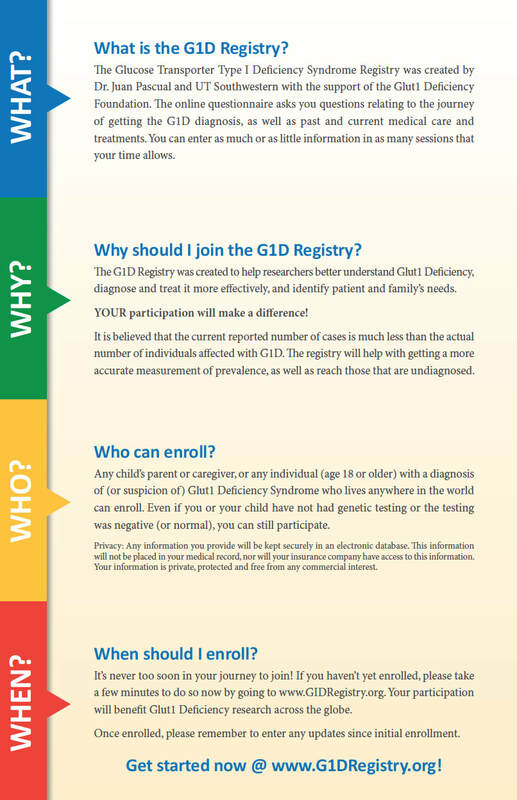 Dr. Juan Pascual at UT Southwestern Medical Center is completing a new analysis of the G1D Patient Registry. 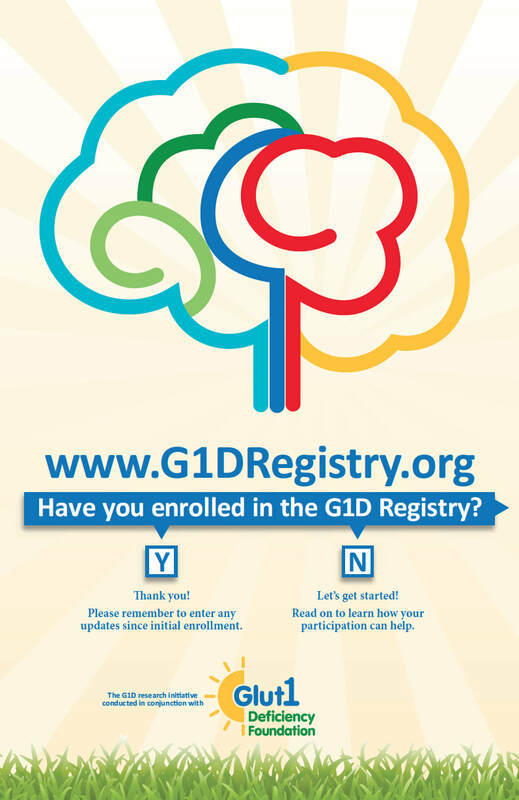 The Registry now includes extensive information on hundreds of anonymous patients worldwide and continues to prove very helpful to better understand G1D as reflected in a recent, widely-read peer-reviewed free-access publication. 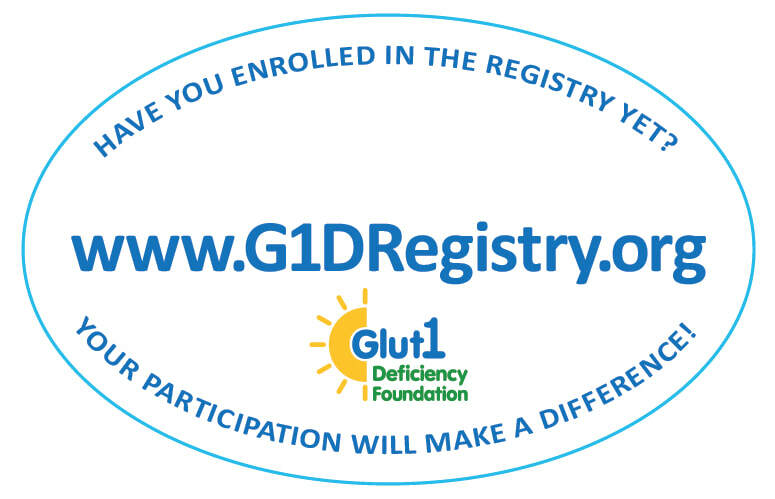 Issues such as G1D manifestations, treatment efficacy rates, potential treatments, side effects or long term development and other outcomes under the various treatments are all captured by the Registry. The Registry was developed because this type of global information is not easily available by any other means. However, participation by everyone is essential so that the questions can be addressed with sufficient confidence. In order to complete the next analysis, currently underway, Dr Pascual is requesting that families who have entered incomplete data or have new developments to share please revise and update their entries. New families are also strongly encouraged to register. Translation of the Registry into other languages is available here.